Your first question should be, "Why is this so?" and your second query should be, "What is so different that you are now in this situation?" The answer may be very straight forward. On the other hand, is it because a tooth broke off, but can easily be repaired? Is it because previous endodontic therapy has failed, but can be successfully retreated? Or, is it because the teeth have undergone bone loss, but that condition could be reversed and repaired? 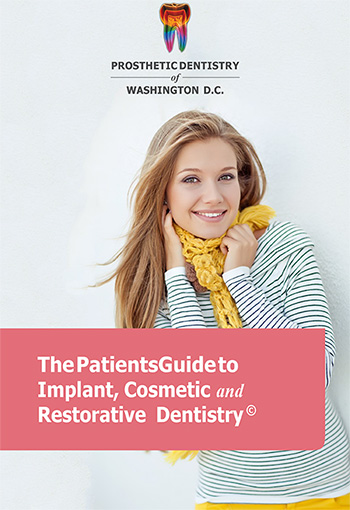 Even though he has surgically inserted and restored over 3,000 implants, Dr. Gerald Marlin, a Washington, D.C. prosthodontist (specialist in implant, cosmetic, and reconstructive dentistry), will always first see if the teeth can be saved, and, in fact, has saved many condemned teeth. As a part of his specialized training in Periodontal Prosthesis and implant surgery, and with his intense focus on performing comprehensive work-ups for his patients, Dr. Marlin makes sure that his patients understand the why, the how, and the when of therapy to be applied for each case - in a wide-ranging consultation. Over the years, Dr. Marlin has even seen patients who have had the recommendation to have all of their teeth extracted and an All-on-4® type of procedure performed with multiple implants, when, in fact, they did not even need that extensive therapy. 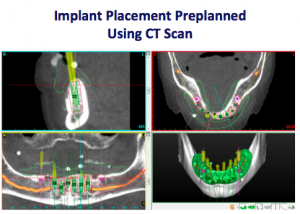 In Dr. Marlin’s opinion, with any case where implants are recommended, the following records need to be taken and analyzed before the “extraction” opinion is even considered: Full Mouth Set of X-rays, models of the jaws, complete clinical exam, intraoral photographs, and a CBCT (cone beam CT Scan) to see the patient’s jaws in 3D. Once these records are obtained, and, if implants are necessary, he uses these detailed entries to create a very comprehensive treatment regimen to ensure that he obtains his usual highly successful implant surgery and follow-on restoration, which will last many years. If you have been told you need multiple tooth extractions and are looking for a second opinion, call Prosthetic Dentistry of Washington D.C. at 202-851-8016 to schedule a consultation with Dr. Marlin and learn if other, less invasive options are available.